I've finished my second book for the 2015 Popsugar Reading Challenge. 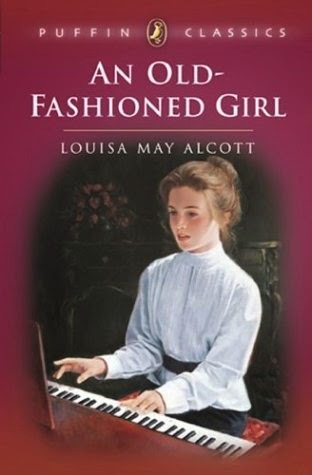 An Old-Fashioned Girl by Louisa May Alcott satisfied the second requirement on the list: A classic romance. I enjoyed it, although it took me longer to finish than I expected. Thank goodness for the library's e-loans. I did have to renew it once (since I 'checked-out' this one and the previous big book at the same time and couldn't finish BOTH within two weeks) but it was no trouble at all. I found myself wanting to be a better person, like dear Polly of the pure heart. Since I don't read books and try to figure out the end (I do like a surprise! ), it wasn't super-obvious to me how things would end up - although maybe it should have been. I did really like the last chapter, where everyone's situation was summed up neatly. I had them pegged pretty early on. Nice read. Not what I'm used to. Reading Perfect Nightmare now by John Saul. Same initials or scary book.